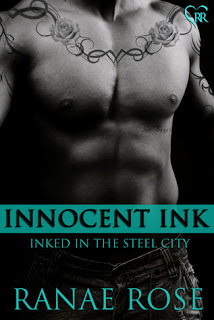 TBQ'S Book Palace: [Kame's Review]: "Innocent Ink"
Catch up on the review for Hot Ink. This is the second installment in Ranae Rose’s Inked In The Steel City series. This installment centers on the tattoo shop’s owner Jed and Mina’s best friend Karen. Jed owned the shop with his wife who lost her battle with cancer five years ago. It is a pain he keeps very private and rarely discusses. Karen is a waitress and part-time photographer. She has taken photographs of many of Hot Ink’s most impressive tattoos. Some of her work is on display in the shop, most notably photos from the shoot that sparked Mina and Eric relationship (Hot Ink – Book 1). Karen has harbored a space in her heart for Jed, often making an excuse to come into Hot Ink to personally drop off prints. Jed is awed by Karen’s talent as a photographer. Will Jed dare to love again? You do not have to have a tattoo to identify with the characters in this book and series. I myself am terrified of needles but Ranae Rose’s words opened my eyes to the wonderful art that tattoos can be. I appreciate the beauty of tattoos more now. Many books talk about tattoos now, many have characters discussing getting a tattoo or asking another character the meaning behind their tat. This series does that but also explores the lives of the artists who create the masterpiece for their client’s lifetime. I really enjoyed the emotional journey Jed went through in this book; and Karen was the perfect woman to inspire him on that journey. Jed’s path to healing seemed realistic and not forced. I felt his pain. He just wasn’t sure if he had it in him to love again. Karen, it is hard for me to put into words how much I identified with and appreciated her character. Karen led by example, showing Jed what a full loving life could hold. She had fantastic relationships with everyone in her life and I found it refreshing to read about a heroine who just was so comfortable with herself. Karen did have her challenges and sad times in this book; however it is how she approached and overcame them that showed more of her true heart; and in the end inspired Jed to open himself to letting another person in his heart again. Sometimes when you read a book you don’t realize how wonderful it is until later. When I first read this book I gave it four stars, now more than a month later as I finalized my review I just changed it to five stars. The reason I found myself thinking back to Jed and Karen a lot this past month, and definitely as I read the remaining books in this series. I found myself pondering scenes from the book and also looking back at the book for quotes. This is the second book in the series, but the first book I read. It can function as a standalone perfectly – if you are not sure if you will like this series this is the book to read. Kame received an e-copy of this book from the author in exchange for her honest opinion. 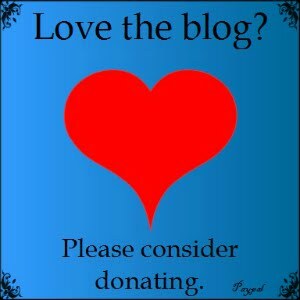 *Note: The quotes used belong to Ranae Rose; Kame and TBQ's Book Palace do not claim them. Thanks Kame--isn't it funny how that can happen? You read the book one time, give it one rating, but after another read through, or time to think on it, you realize it deserves a different rating. I'm so glad to hear that you loved this book! 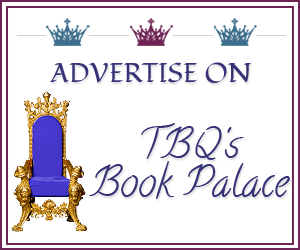 Do you enjoy tattoos in your romances---on the hero, heroine, or other characters? Do you like tattoos in real life? And finally, do YOU have any tatts (or perhaps your hubby/bf)? Wow Kame......you have convinced me!!! These sound great, on my list!